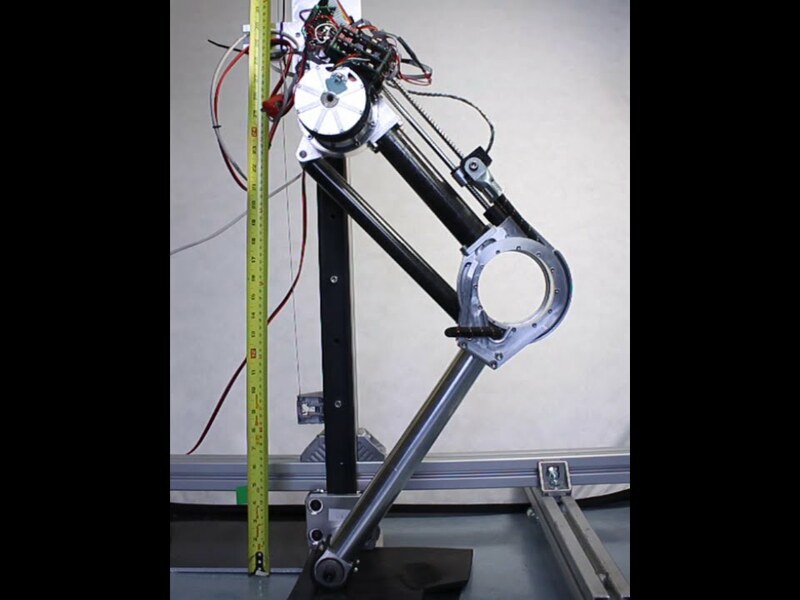 We do research on agile robot locomotion for bipedal and quadrupedal robots. Two strands of research in locomotion are pursued: bio-inspired and function-centric. The bio-inspired research focuses on emulating animal-like bipedal and quadruped locomotion, including walking, trotting, jumping and running. 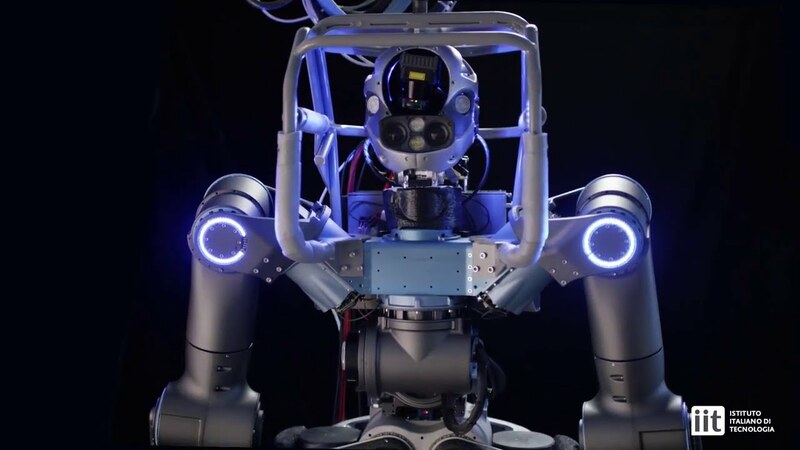 The second one, function-centric, investigates innovative design and control approaches for locomotion that are not necessarily trying to copy any biological counterpart, such as knee-less legged robots, parallel robots, etc. 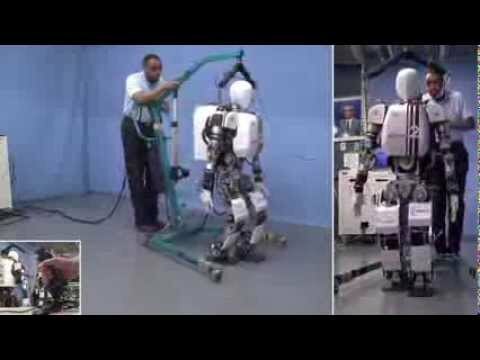 Bipedal walking gait generation for a humanoid robot subjected to external pushes. The robot recovers its stability by changing the step placement and timing. 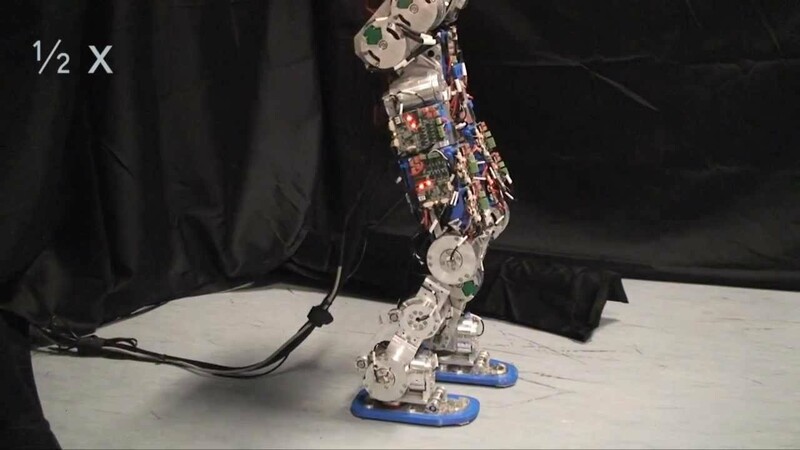 Humanoid robot WABIAN-2R walking with dynamically generated gait. The walking gait is dynamically generated using a hybrid gait pattern generator capable of rapid and dynamically consistent pattern regeneration. 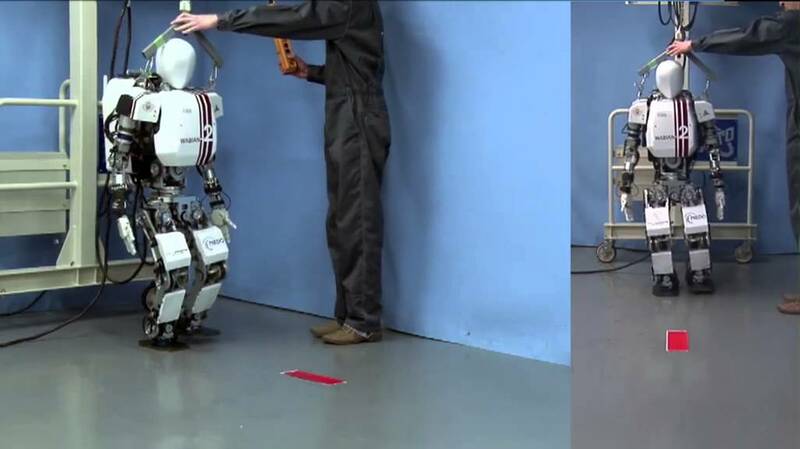 Compliant humanoid robot COMAN learns to walk efficiently by varying the center-of-mass height learned by reinforcement learning. The optimized walking gait achieves 18% reduction of the energy consumption. Jumping robot with active and passive compliance. Energy efficiency is achieved by using a bungee cord for energy storage during continuous hopping. We investigate how active and passive compliance can help to absorb the shock of landing impact and protect the robot. 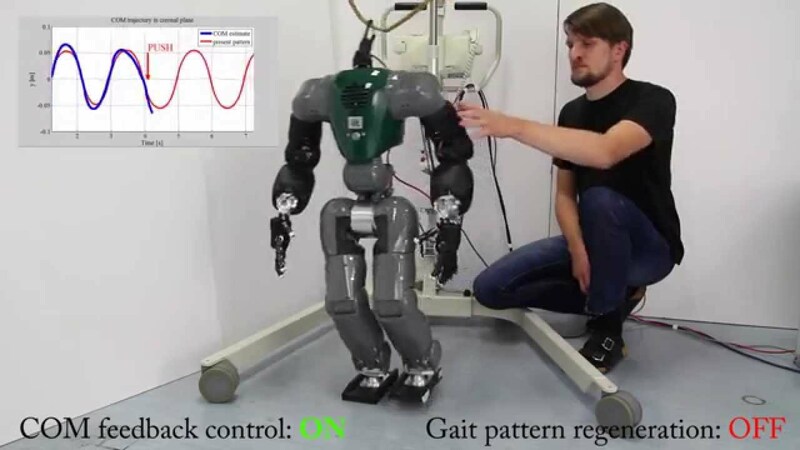 Real-time gait generation for humanoid robots. We proposed a two-stage gait pattern generation scheme for full-size humanoid robots that considers the dynamics of the whole system throughout the process.